A photograph of Dillon Danis’ opponent for his MMA debut had been suspiciously absent from the Bellator website, however that was remedied today. Bellator has revealed the identity of Kyle Walker via press release, yet they insist he is not simply fodder for the budding star. We know what it looks like, OK? Kyle Walker is by no means a tomato can. 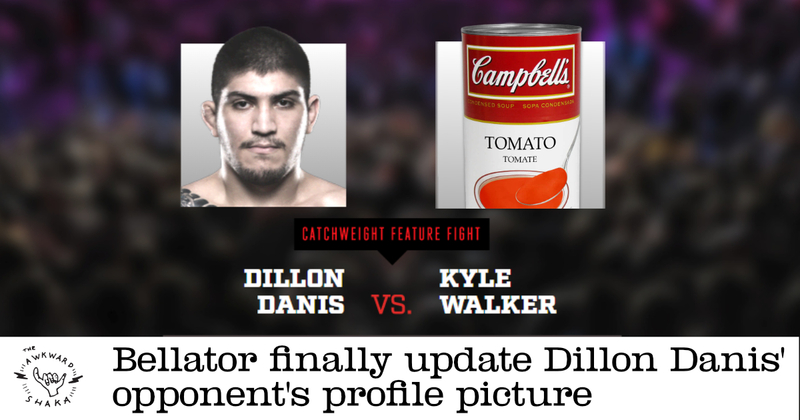 He may resemble one, and his record may be 0-4, and he may be delicious with a piece of buttered toast, but we are absolutely not just serving up a tomato can to pump up Dillon Danis. No sirree bob. Definitely not. The press release came with red stains on it and some toast crumbs.